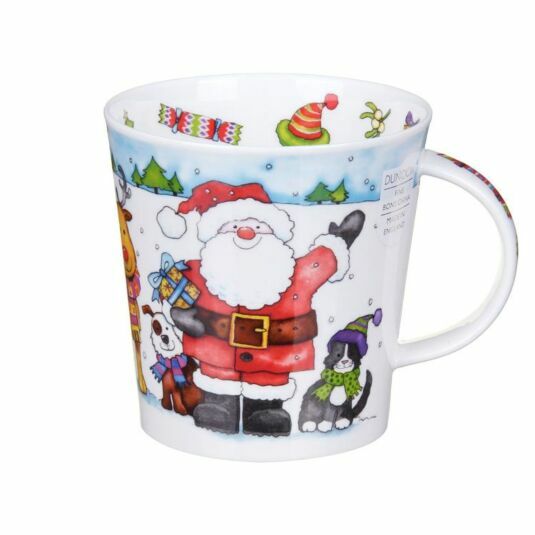 A very jolly Father Christmas is the main character on this mug from Dunoon. Depicted in bright colours, he is waving from a snowy landscape, while beside him stand Rudolph and other smiling animal friends in the shape of a dog and a cat wearing woolly hats and scarves. 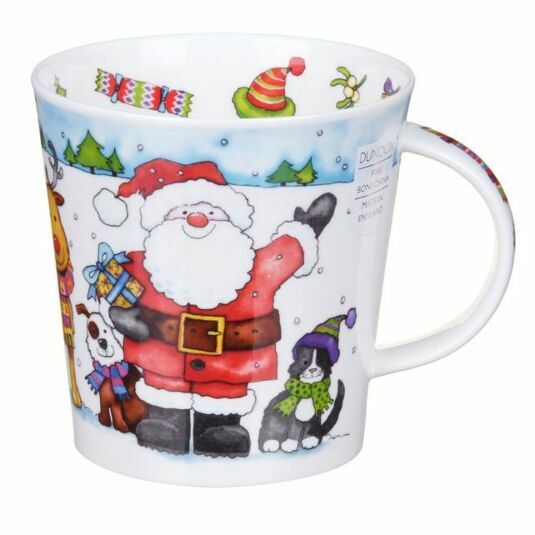 Inside the rim of the mug are items associated with the festive season, including a cracker, a green and red bobble hat and a sprig of mistletoe. On the reverse, three smiling reindeer stand in a row, being inspected by a small white mouse.